Fabled kings, heroes and myths come to life on May 11 when Gamelan Tunas Mekar, under the direction of artist-in-residence I Made Lasmawan, presents “Sketches of Bali in Music and Dance.” Combining the power of ancient dance forms with the exotic sounds of the Balinese gamelan, Tunas Mekar will perform a variety of instrumental and dance pieces including the Colorado premiere of Belibis, a stunning contemporary dance depicting an Indonesian goose. The second half of the concert will feature guest Balinese dancer I Gusti Ngurah Kertayuda performing numerous Topeng (mask) dances. 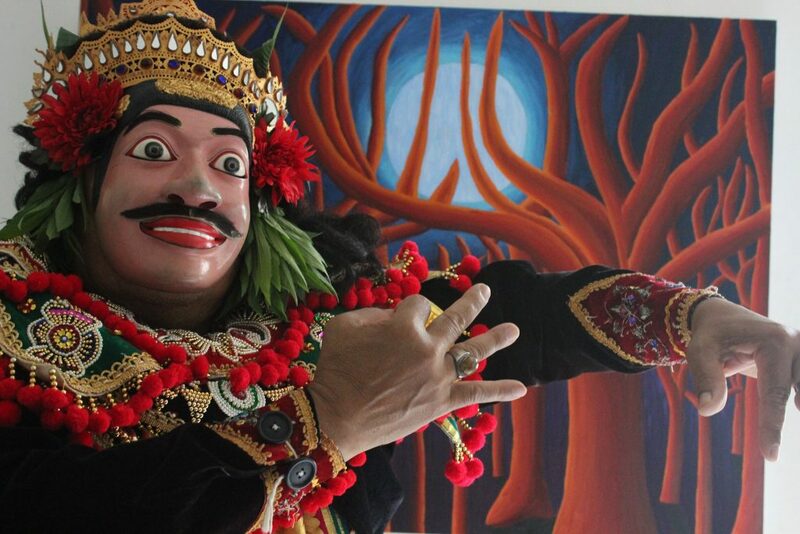 Topeng features an ornately costumed, mask-wearing performer who interprets traditional narratives including Bondres (Common Man), Dalem (King), Tua (Old Man), Penasar (Narrator) and Keras (Prime Minister) culminating with Joged (Social Dance). Both humorous and exquisitely enacted, Topeng invites the audience to play an interactive part in this traditional Balinese drama. Additional guest performers include artist-in-residence Ni Ketut Marni, I Putu Tangkas Adi Hiranmayena and Colorado-based Balinese dancers Ni Indira Sandika, and Victoria Zero. This is a rare opportunity to not only see these delightful dances, but to hear the sound of Tunas Mekar’s largest orchestra, the Gamelan Semaradana. This event, which is designed to highlight the contrasts between ancient Balinese court music and contemporary styles, will take place at Denver School of the Arts (DSA), 7111 Montview Blvd, Denver, CO 80220 (corner of 20th & Quebec). Free parking is available in the DSA lots. Tickets are $15 for adults and $10 for students, seniors (65+), and children 12 and under. TICKETS ARE AVAILABLE AT THE DOOR STARTING AT 6:30 PM. The performance will begin at 7:30 pm with doors opening at 6:45 pm. All tickets are General Admission. Arrive early for the best seating! If you purchased or reserved Advance Tickets, they will be available at Will Call starting at 6:30 pm.